Jars are jars ball mason jars are the best for canning in my opinion. The small lids 48mm do not fit well but they go on with a bit of coersion, I have not tried any of the others yet. These can also be used in a water canner. 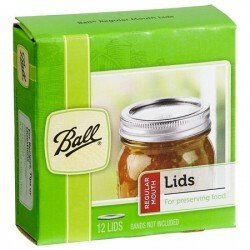 It's a shame these aren't made with a side section that keeps the bottles away from the sides of the canner. Also that there is not a separator to be inserted to keep the bottles apart - towels tend to float and move around when the canner is in full bubble. This fits my electric urn very nicely. I find the ball mason pint size bottles don't tend to stand firmly on the wire racks. These racks have a 11.5" diameter and so suit all but the smallest (10.5quart) All American pressure canners. They also fit All American sterilisers, models 1941X and 75X, and Presto 23 quart cans. Extra racks are useful if you are canning small jars which can be stacked more than 2 high in the canner. 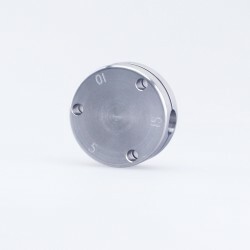 The Presto Pressure canner dial gauge assembly is the assembly used to attach the dial gauge to the .. These racks have a 11" diameter and so suit our Presto 23 quart pressure canners.Extra racks are..